Older patients who are staying in hospital are enjoying music and singing sessions courtesy of the Welsh National Opera (WNO). 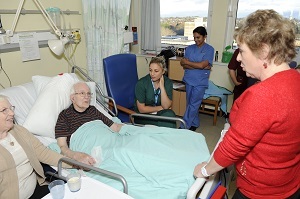 Patients staying on ward C7 at the University Hospital of Wales had weekly sessions from the Come and Sing project which ran for five weeks, receiving great feedback from patients, families and staff on the benefits of the sessions. The Come and Sing project will now continue running on a weekly basis on Ward C7 until Easter, supported by Cardiff & Vale Health Charity under the Heath Boards Music To Our Ears programme. WNO’s vocal animateur Kate Woolveridge and repetiteur Nicola Rose inspired patients, families and nursing staff to come and sing with us, with the pilot creating a joyful atmosphere and sharing relationships between staff, patients and families on the ward. Patients on the ward are aged between 70 – 90 years old they not only enjoyed listening to solo items but also actively joined in with the music, vocally and physically. The sessions were run during afternoon visiting hours so that friends and family could get involved too and sessions were so well received that patient’s would do warm ups and practices during the morning of a session. 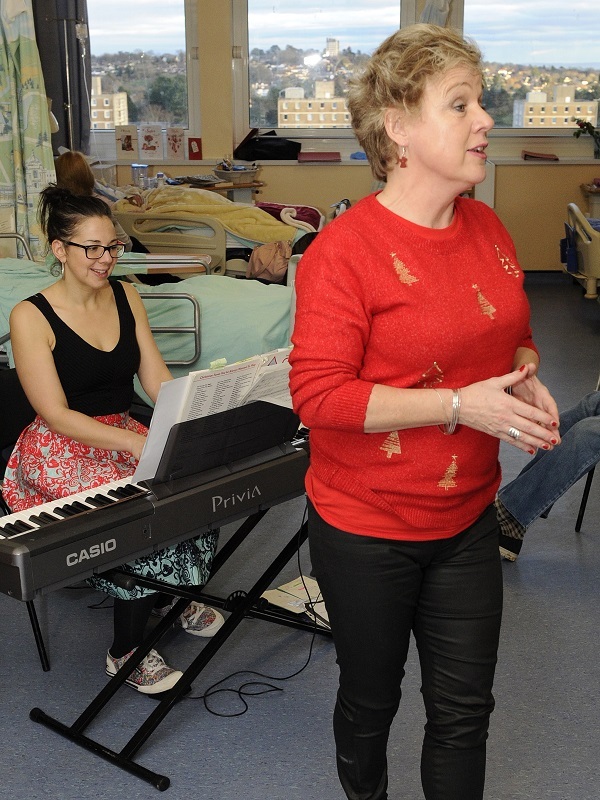 The aims of the project were to make staff and patients feel good when singing, to create a sense of a musical community on the ward, to connect to people, to encourage communication, to spark meaningful interactions and to elicit emotions and memories. As a result of the sessions staff and family members noticed that patients were getting up more, interacting more with others, had an improved general sense of wellbeing and were happier. The positive impact that the first five weeks of the WNO’s Come and Sing project has created has proven what a worthwhile and much needed regular activity this is for patients, relatives and staff members alike.